How often I catch myself; actually I don’t even catch myself, I just find myself uttering in my mind our out loud words like ‘well back when’ or ‘in a few years’, ‘soon’, ‘maybe one day’, ‘hopefully I can someday’, ‘I can’t wait for this to happen’… Some people live in the past. Some live in the future. Sadly we forget to live and enjoy the NOW. I am so guilty of this every day. How can we move forward from our past and shape our future if we do not take the time in the present to grow, be happy, make things happen in the now. Why do we try to skip the now, the only real-time we have to live in. The past is the past and the future hasn’t even happened, yet we focus on both as if it is the only time existing in our world. 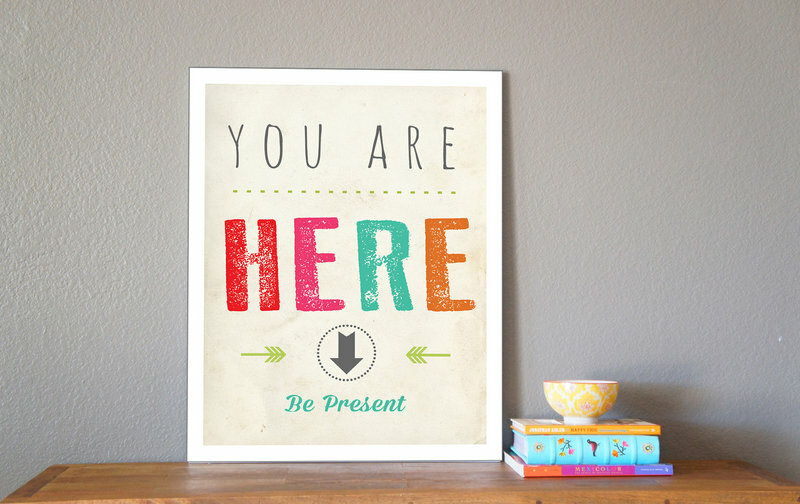 We forget the now, the present. So much so that we look back at the past and say ‘I wish I would have’, ‘why didn’t I…’ It’s like a vicious circle. What can we do to live in the now? How can we block some of that noise in our heads not allowing us to enjoy the present. Accept the moment for what it is. Good or bad. Just go through the moment, live it, embrace it, learn from it. Take it ALL in. Take the beauty of the world and your surroundings in. Stop and look around. If you are on a walk look around you. Take in the smallness and the vastness of your surroundings. Focus on the little things you see as well as the big things. Whether it is a bird flying overhead and pooping on your shoulder (I know I’m sorry I just couldn’t help myself), or the vibrant color of a flower petal. Stop and just be present with your surroundings. Focus on what your are doing right now in the present. Take notice of what you are doing in this moment. Right now I am typing, drinking hot tea, and feeling inspired. What does your present look like? Next Post Where to? Hawaii, Italy, Napa Valley, or Spain?